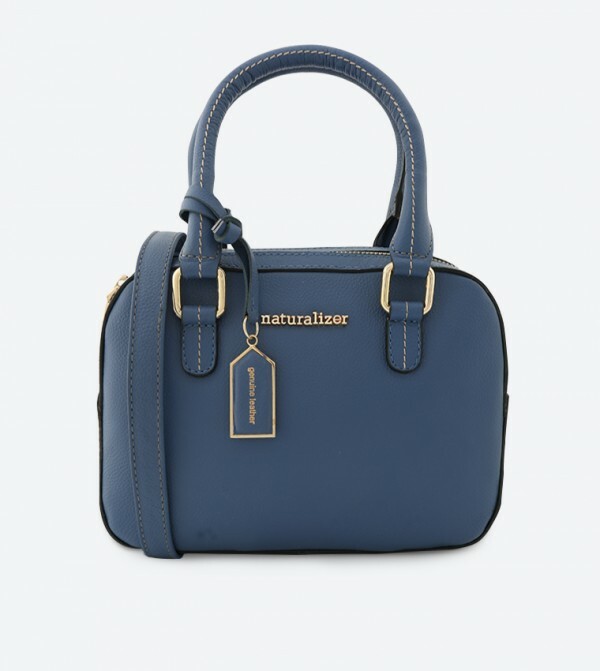 Designed with metallic branding on the front, this blue mini tote bag from Naturalizer exudes a stylish and luxurious vibe. This bag made from leather is high on both style and durability. Featuring zippered closure, this capacious bag with a zippered pocket at the back will hold your essentials in an organized manner. The firm dual handles will let you carry it easily throughout the day.